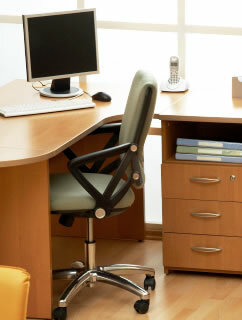 We provide practical office clutter elimination and storage solutions. We can organize one room or an entire office. Our solutions allow clients to function at a higher level of efficiency by helping them better utilize time, maximize space, and eliminate clutter. Our solutions can easily be maintained to ensure long-term clutter elimination. Maximize your space design to support your goals and reduce stress. A clutter free environment saves time and improves productivity by eliminating distractions. Prioritize work and deadlines by managing what comes into the office. Implement filing systems to clear the paper clutter, to keep what you need and find what you need in thirty seconds or less. Align time with goals and stay on track to complete projects on time.